John G. Adams offers Securities and Advisory Services through Centaurus Financial, Inc. a Registered Broker/Dealer, Member FINRA and SIPC, and Registered Investment Adviser. Supervisory Branch: 2300 E. Katella Ave., Suite 200, Anaheim, CA 92806. 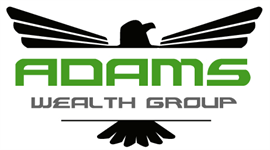 Centaurus Financial, Inc. and Adams Wealth Group are not affiliated companies.